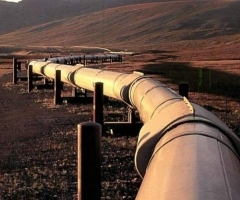 5 companies and consortia have been short-listed to file bids in a 145 million Euro ($165.65 million) tender to design and build a gas pipeline between Bulgaria and Greece, data from the company overseeing delivery of the project, ICGB, has showed. The selected bidders should file their offers next month to build the 182-km (113-mile) pipeline aimed at transporting mainly Azeri gas to Bulgaria and reducing its almost complete dependence on Russian gas supplies. Some 11 companies filed initial bids. A consortium between 2 Bulgarian construction companies and Italy’s Bonatti, a joint venture between Germany’s Max Streicher and Greek Terna as well as a consortium between French Spiecapag, a unit of Vinci, and Bulgarian Trace Group were allowed to file bids.